DC Super Hero Girls: Search for Atlantis by Shea Fontana, illustrated by Yancey Labat, is an original graphic novel about teamwork and learning to see how differences in personalities can not only be complementary to our own but also an asset to a team. Mera, a resident of Atlantis, tries to fit in at Super Hero High and finds a friend in Wonder Woman. This causes conflict with Wonder Woman’s friend Bumblebee who views Mera as someone taking her friend away, even though this is not the case. When the super heroes find that Atlantis has vanished during a school field trip about weaponry, the heroes must learn to work together to save the underwater city. The pages of the graphic novel are just what you’d expect to find in the comics, but on glossy paper and in a bound format, the super hero girls really come to life. Not only does each hero have his/her own powers that make them unique, but they also have different personalities that provide a new set of challenges. Each part of the story is broken up into chapters, allowing younger readers to take breaks in between each segment. These breaks also enable young readers to absorb what has been happening between the characters and how far the mission has moved forward with its objectives. DC Super Hero Girls: Search for Atlantis by Shea Fontana, illustrated by Yancey Labat, introduces some familiar characters from the comic book world and perfectly dovetails with some of the social issues found on the cartoon. 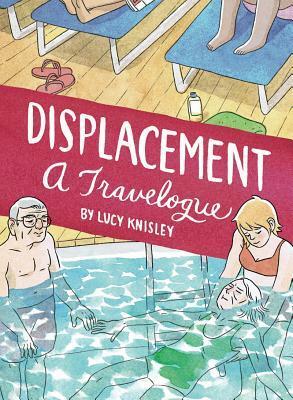 Displacement by Lucy Knisley is part travelogue, part memoir, part comic, and it does an excellent job of illustrating the fears of younger generations when it comes to caring for elderly parents or grandparents. Lucy volunteers to take her elderly grandparents on a cruise with their senior housing community, and while she loves her grandparents, she, like many grandchildren, still see them as capable and active adults, even though their health has declined. Traveling with aging grandparents through a series of connecting flights and the boarding of a cruise ship is difficult, especially as Knisley’s grandmother is losing her memory and her grandfather has bladder control issues. Readers are likely to giggle about some comedic moments, but what makes this book shine is the compassion, angst, and love that shines through in every page. Knisley ponders what it means to be a good person and what her own motivations are for coming on the trip, as well as why her own family has a hard time expressing love for one another — with the closest to an “I love you” being “we’re so proud of your academic achievements.” Although her grandparents have lost some of their memories, Knisley is lucky to have her grandfather’s memoir about his WWII experiences. She discovers while reading this memoir in preparation for the cruise that her grandfather often threw caution to the wind, like not wearing a parachute while flying because it was uncomfortable. Displacement by Lucy Knisley is not just about mortality and how many young people do not want to face it. It is also about having compassion and love for your own roots, so much so that you set aside your own discomfort to make sure elderly relations enjoy their own time on vacation or just with family. It also sheds light on the incredibly hard job it is to be a caregiver for the elderly, particularly when you’re not related to them. Knisley gives readers a new respect for those working in nursing homes and elderly communities. 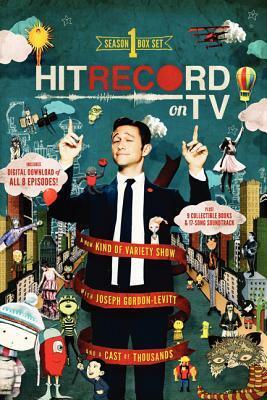 A definite contender for the year-end best list. Beginning with an love for Archie comics and Calvin and Hobbes, Lucy Knisley (pronounced “nigh-zlee”) has always thought of cartooning as the only profession she is suited for. 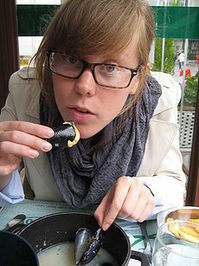 A New York City kid raised by a family of foodies, Lucy is a graduate of the School of the Art Institute of Chicago currently pursuing an MFA at the Center for Cartoon Studies. While completing her BFA at the School of the Art Institute, she was comics editor for the award-winning student publication F News Magazine. Wayne of Gotham by Tracy Hickman is an exploration into the Wayne legacy and its role in Gotham’s early days and its current influence on the city as Bruce Wayne dons a cape and cowl and chases criminals as Batman. Through a series of flashbacks to the 1950s, Bruce and the reader learn about his father, Dr. Thomas Wayne, and the family secrets. Bruce is clearly not the only Wayne who has kept big secrets from the rest of the family and the outside world. The parallels Hickman draws between Bruce and his grandfather, Patrick, are intriguing as both men tend toward the aggressive nature of their personalities and are not afraid to meet violence with violence. Thomas, on the other hand, wants no part of that violent world, even though his father believes he should be able to defend himself. However, in Hickman’s novel Bruce Wayne is middle-aged and feeling the impact of his year’s saving Gotham from criminals as Batman, and his reliance on technological advances in his suits and cars tells a far greater tale of this aging hero. What’s interesting about Hickman’s take on the comic character and his family is that Batman uncovers a past that is not as rosy as he expects about his father. Dr. Thomas Wayne and his work with Dr. Richter are more than his son can digest in one sitting, but Batman is hardly given the chance to do so as he’s being drawn deeper and deeper into a spider’s trap as ghosts from the past seek to right the wrongs of the past. Through a series of surprising turns connected to the German Nazis, eugenics, and more, Batman is confronted with a father who is not as perfect as he thought and he must reconcile what he has learned with what he thought he knew about the man. The criminal mastermind here is slightly obvious from early on, but that is not as bothersome as the incessant talk early on about Batman’s vehicles and gadgets, which don’t necessarily add to the plot especially when the narration focuses on the evolution of the Batmobile from its early incarnations to the present. 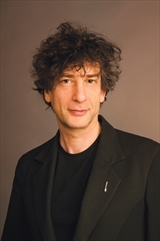 However, that’s a minor drawback that fades away once the novel gets going. Hickman has clearly done his research into several incarnations of the Batman myth, but the plot movement with the entrance of criminals, like The Joker, is abrupt on occasion as their motivations are unclear and the catalyst of their involvement is murky until the end. Wayne of Gotham by Tracy Hickman is a satisfying read for those interested in the past of the Wayne family and its role in the rise and potentially the degradation of Gotham City. Warring within each of these men is the duty to do good and the desire to just be free and follow their passions. The relationship between Thomas Wayne and his father is clear from the beginning, but the relationship between Thomas and his son Bruce is less clear as Bruce himself is unsure how to view his father in light of the secrets revealed. 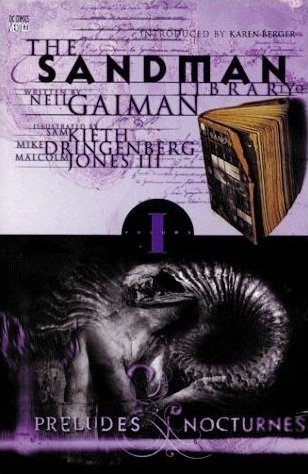 In many ways, this novel may have worked better as a graphic novel, but Hickman does a good job sticking to the origins of the character and bringing in unique story lines to fill out the ancestry of Wayne family. By the end of the novel, it would also seem that more needs to be said and uncovered, especially when the second son of Thomas and Martha Wayne is alluded to, but not seen. Tracy Hickman is a best-selling fantasy author, best known for his work on Dragonlance as a game designer and co-author with Margaret Weis, while he worked for TSR. He married Laura Curtis in 1977, and together they have four children. 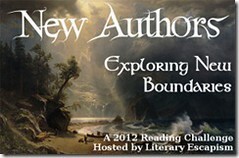 This is my 59th book for the New Authors Reading Challenge 2012. Bluewater Productions‘ Female Force by Neal Bailey, Ryan Howe, and Joshua LaBello is a compilation of stories about some of the strongest women in politics — Michelle Obama, Hillary Clinton, Sarah Palin, and Caroline Kennedy. The comic book is well drawn, with very realistic images of these figures. The book starts off with Michelle Obama unveiling her childhood, her determination to do well in school, and her success in becoming a mother and attorney, long before meeting her future husband, Barack Obama. It was interesting to learn that she put off marrying Barack for a long while, even after her brother gave her his blessing. But the story doesn’t end there; it continues through the campaign trail in Chicago and for the presidency. Hillary Clinton’s story also begins wither her past, beginning with her childhood in Chicago and moving through the presidential campaign. This pattern is followed with Sarah Palin as well. These comics will help young readers and older readers get a better grasp on these women and the role they play in politics today. The illustrations are vivid and detailed, resembling each political figure accurately. Readers interested in a bit of sarcasm and another point of view of politics will enjoy these stories, and young women can look to them for inspiration. This is my 19th book for the 2010 New Authors Reading Challenge. FTC Disclosure: Thanks to Bluewater Productions for providing me a free copy of Female Force for review. Clicking on title and image links will lead you to my Amazon Affiliate page; No purchase necessary, though appreciated. Bo Obama: The White House Tails is written by Paul J. Salamoff and drawn by Emmy Award-winning Disney and Warner Brothers artist Keith Tucker for Bluewater Productions‘ line of graphic novels for young readers. 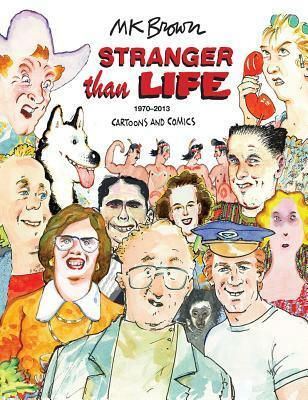 The 40-page graphic novel reads more like a comic book, with Bo Obama taking kids back in time to visit previous White House pets and to witness some of the history of the presidential residence. Bo is a Portuguese Water Dog, who is the perfect dog for those with allergies. Not only does Bo know a lot about himself and his breed, but he also knows a great deal about the White House’s former residents. 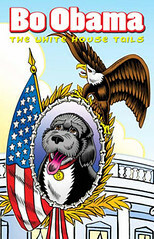 The illustrations of Bo are clear and vivid, making the Obama’s dog leap to life in this graphic novel. From elephants in the White House to the origin of the presidential residence’s name, Bo takes readers on a journey through the present and the past. Kids, probably between ages 8 and 12, will enjoy this book the most because the words will be easier for them to grasp with little help from parents. In some instances, readers may want to learn more about the animals or historical figures they meet. Learning history through the eyes of a dog has never been more entertaining. Bo Obama: The White House Tails is moderately priced at $6.99. 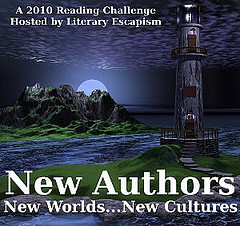 This book is my 16th book for the 2010 New Authors Challenge. FTC Disclosure: Thanks to Bluewater Productions for sending me a free copy for review. Clicking on title and image links will lead you to my Amazon Affiliate page; No purchase necessary, though appreciated.